Home Pet Rabbits Advantage For Rabbits – The Right Choice For My Bunny? Want to know whether you can use Advantage for rabbits? Read on if you’re trying to solve a flea problem with your bunny! 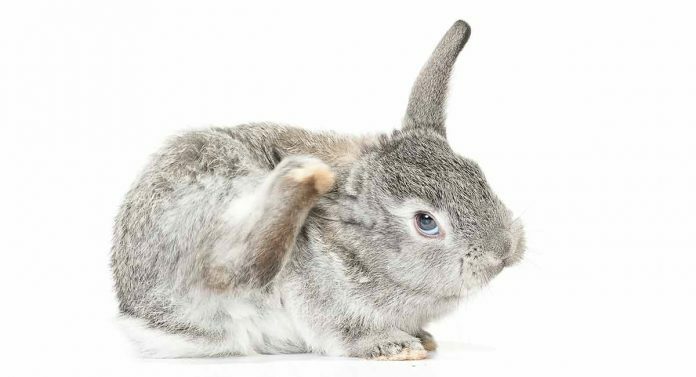 If your rabbit is scratching, itching, and acting uncomfortable, then you may have a flea problem on your hands. Yikes! In your search for a solution, you may have discovered Advantage, the flea medication commonly used on dogs and cats. So, is this same medication safe for small animals like rabbits. If so, how are you supposed to give your pet the medication? Well, we explore these questions for you in this handy guide so you can treat your rabbit and get him back to his old self once again. After all, you want to snuggle with your bunny, which is one of the advantages of rabbits! What Is Advantage For Rabbits? Advantage is a topical treatment used to prevent and treat flea conditions on a variety of animals. The active ingredient in Advantage is called imidacloprid, which is a strong insecticide. Sometimes the same agent is called a pesticide as well, like when it is used to treat crops. Imidacloprid is a neurotoxin that targets the central nervous system of insects. The toxic agent stops the normal transport of electrochemical signals through the nervous system. In other words, the brain, spine, and nerves stop functioning properly and the insects die as a result. Unlike other types of flea treatments, imidacloprid works on contact. So, the insects do not need to bite your rabbit for the medication to take effect. While Advantage does not work to destroy or kill flea eggs, it does eradicate fleas in both the larval and adult stages. So, it really is best used during active flea situations where it can stop the flea life cycle before the insects have an opportunity to lay eggs. There are two types of Advantage you can buy. Advantage II for rabbits is what you will probably find. You can purchase the topical treatment over the counter at your local pet store or directly from your veterinarian. The product is labeled as a flea treatment for small cats, dogs, and rabbits. According to the manufacturer’s product information sheet, the 40 mg treatment is the one best used for rabbits. The appropriate dosage is included in a single .4 ml tube, which is meant for animals that weigh less than about 8.8 lbs (4 kg). 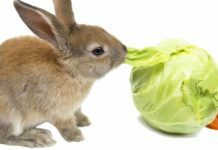 Is Advantage Safe For Rabbits? According to the manufacturer’s data sheet, the flea treatment is safe for rabbits. In fact, no adverse side effects were noted when the treatment was given to rabbits every week for four weeks. Since the medication is intended for use once every four weeks, this tells you that even a dose four times the treatment amount will not harm your rabbit. You should also know that there are some small animal studies that show adverse health effects when extremely high doses of Advantage are given. In one study, rats were given either 10 or 20 mg of imidacloprid per kilogram of body weight. The medicine was provided every single day, and rats showed some adverse neurological effects at the higher 20 mg dose. Since the study does show that Advantage can cause health issues at high levels, you do need to follow the instructions. 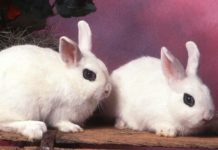 Rabbits and other animals will often require two doses of medication given about four weeks apart. This is especially true if your rabbit has fleas or if you have a cat or dog in your home with fleas. Speak with your veterinarian about the best course of action when it comes to treatments and Advantage for rabbits dosage. If you have a cat or dog who requires flea treatments, then you understand how easy it is to give your pets their flea treatments. You can use the same process for your rabbit. However, you may want to ask a friend or family member to secure your rabbit for you. You do not want your bunny hopping away on you in the middle of the treatment. As someone else holds your rabbit, gently part the hair along the neck at the base of the skull. Reveal the skin in the area and place the tip of the Advantage tube directly on the skin. Squeeze the tube to release the contents of the package. You want to make sure that your furry friend does not consume any of the topical agent. This is usually a concern when rabbits groom themselves with their tongues. One thing you can do is make sure your bunny is separated from any other rabbits, so they cannot groom each other. If your rabbit does consume some of the imidacloprid, treatment is not usually required. However, you may want to make an appointment with your veterinarian. A medical professional can examine your rabbit for any signs of neurological issues. The vet may also ask you to observe your rabbit at home. A few possible signs of an overdose of Advantage include weakness, lack of coordination, muscle tremors, ear twitching, and vomiting. 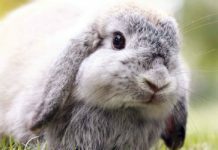 When Should Advantage Flea Treatment For Rabbits Not Be Used? Flea treatments like Advantage should be used on rabbits that are at least 10 weeks old. Ideally, your furry friend should be at least nine months old before flea treatments are given. The nine month age mark is when your rabbit will become an adult. Speak with an animal professional to see what age is best to start giving your rabbit Advantage. Also, if your rabbit is pregnant, you may want to wait until after the kits are born before you treat the fleas. While imidacloprid is not meant to be consumed orally, documentation published by the EPA states that Advantage can produce some birth defects when rabbits ingest the medication. 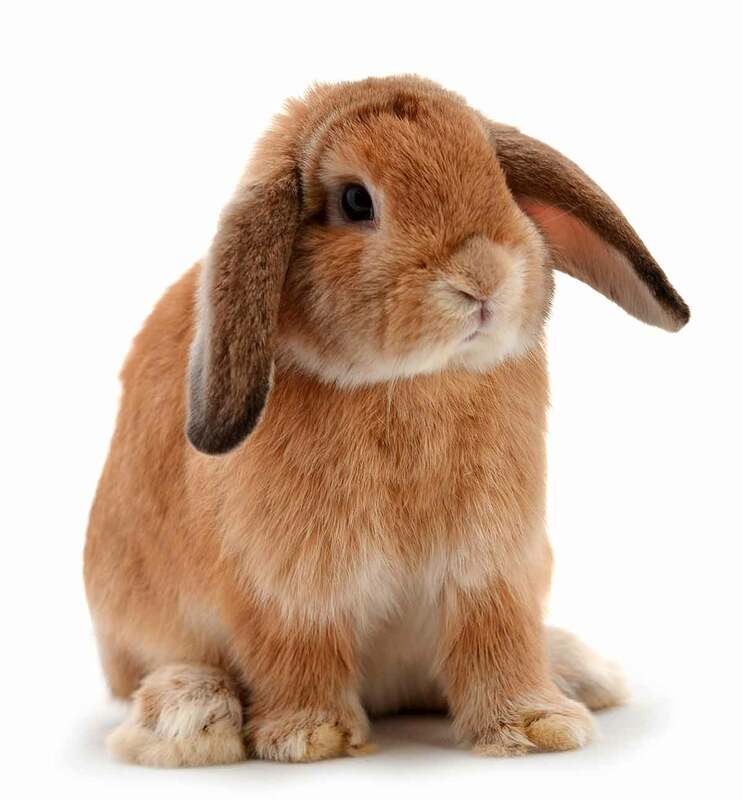 However, fleas can cause anemia, which can complicate a pregnancy, so make sure your veterinarian helps you understand the benefits and risks of flea control for rabbits Advantage. Advantage can often be combined with other pesticides like permethrin or moxidectin. But, you may want to speak with your vet about this as well, so you do not give your bunny too much medication at once. Additionally, since topical treatments can cause some irritation in sensitive pets, check to make sure that a rash does not develop after treatment. This is especially important if your bunny has ever experienced a skin condition before. Please note that many other available over-the-counter flea treatments, such as Frontline, or Advantage knock-offs, are NOT safe for rabbits. Advantage flea for rabbits is a safe and effective medication for your pet rabbit if you notice a flea problem. However, you must make sure that your bunny is old enough to receive the medication. A dosage meant for dogs, cats, rabbits, and other animals under 4 kg is your best option, but keep in mind that it is always best to speak with an animal professional before administering the treatment. Have you ever used Advantage on your rabbit, or do you know of the perfect flea treatment for your bunny? Vohra, P. and Khera, K. S. (2015). A three generation study with effect of imidacloprid in rats: Biochemical and histopathological investigation. Toxicology International, 22(1). Varga, M (2013). Textbook of Rabbit Medicine (Second Edition). Butterworth-Heinemann. Previous articleAre Guinea Pigs Nocturnal? Hi. I just purchased a package of Advantage II for small cats. Tubes are .4ml However the package clearly states that it is only for small cats or Ferrets – says do not use on any other animals. Is there a different advantage ii that I should be looking for? Thanks for your help.